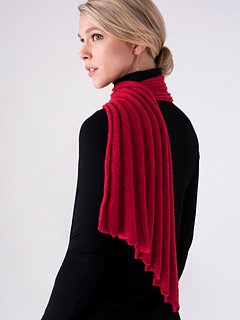 This pattern is available for Free with Purchase of the yarn to knit it at your LYS. Sleek and structured. 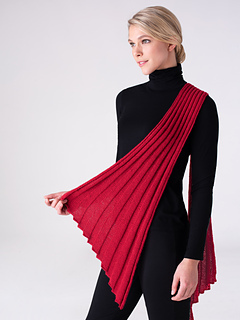 Stoa is a dramatic scarf with architectural details. 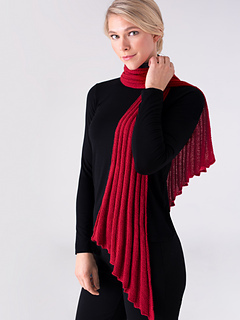 Knit with only 4 skeins of Echo, enjoy the subtle halo and a lofty fabric, you’ll be wearing it by next week. 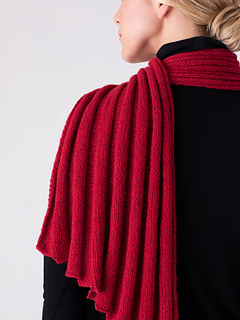 Stoa is a ribbed scarf with distinct shaping created by working decreases and increases. Each rib section is cast on or bound off, one section at a time, to create the stair step effects.